I have been on a mission to reduce our plastic waste for a while but recently I have discovered so many little changes than can have a big impact. The recent Blue Planet series has brought to light how big an issue it is and it is great to see so many people looking at how they can reduce and eliminate single use plastics. 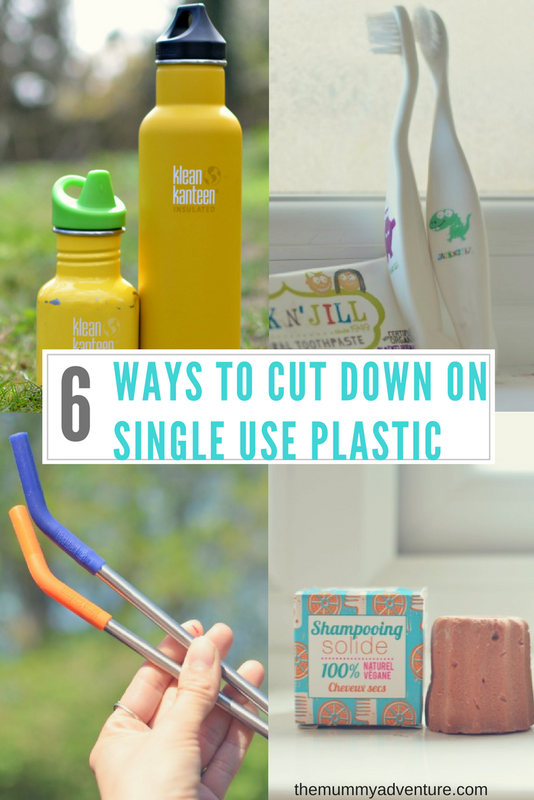 I still have a long way to go, but I wanted to share 6 ways in which we have cut down on plastic in the past few months. Straws have been big news in the last couple of weeks with a proposed ban on plastic straws coming next year. 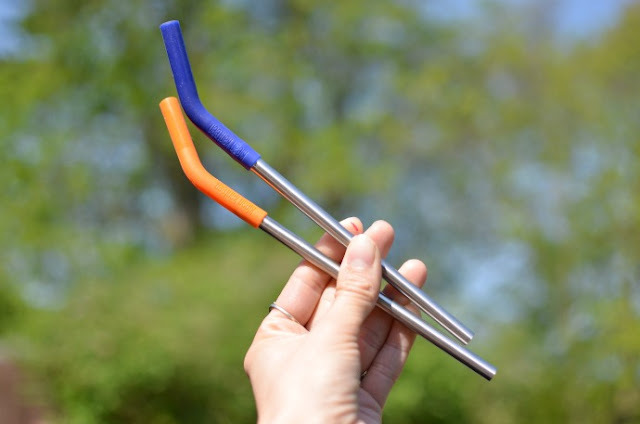 We are one step ahead of the game though and have had metal straws at home for the past year. 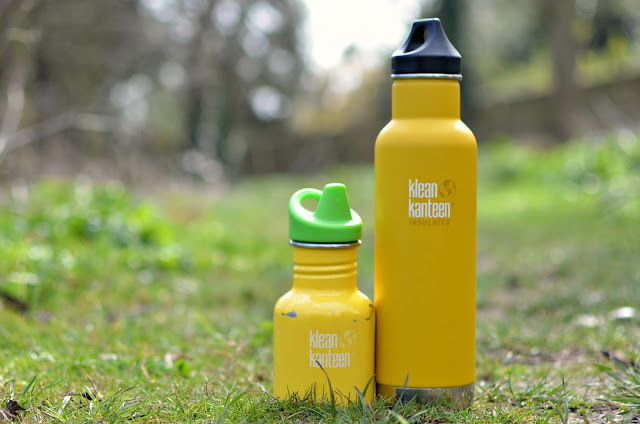 I have recently invested in a set of Klean Kanteen straws to take out and about with me though as sometimes I just like to drink out of a straw and often the children are a lot less messy with one! They come in a pack of four with different colours and I keep them in my changing bag in a little wet bag so I am always prepared. 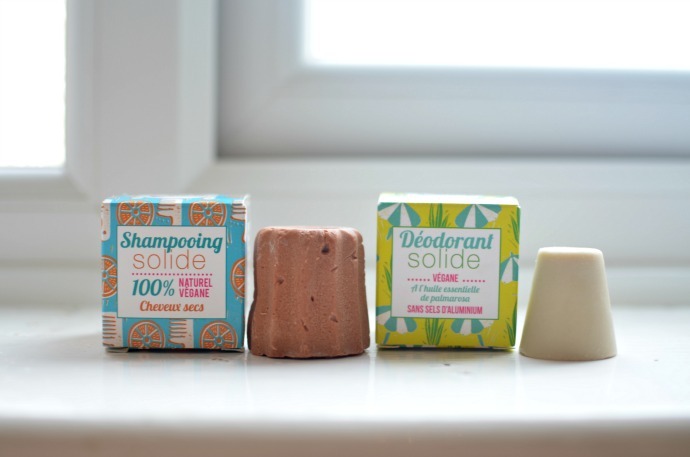 Moving to solid shampoo and solid deodorant feels like a great move for more than one reason. Both come packaged in a small cardboard box that is easily recyclable and other than that there is no waste. I love how natural both are too, with fewer chemicals and artificial smells. The shampoo bar is easy to use and leaves my hair feeling clean and soft and the deodorant bar is just held under the tap for a few seconds and then used like a roll on. I am on the look out for a hair conditioner bar now! We already switched from shower gel and hand wash to soap for the same reasons so our bathroom has considerably less plastic in now. 3) Reusable bottles and cups. As a coffee fan, I often grab one 'to go' whilst I am out and of course that comes in a paper cup that is very difficult to recycle. I am embarrassed at how much bottled water we used to buy too. I now have a Keep Cup that I use in coffee shops when I want a take away lid and we use Klean Kanteen bottles for both the children and I to carry water when we are out. I get them refilled every time we stop at a cafe or similar and we are buying much fewer drinks when we are out now. We have used reusable nappies since Dylan was little, but it took longer for me to make the switch for myself. Since Finn was born over 3 years ago, I haven't used any disposable sanitary products for myself and the switch to a mooncup has been one of the best things I have done. It is comfortable, easy to use and means I am not exposing my body to unnecessary chemicals or disposing of products that take years and years to decompose. There are many options out there and if you are thinking of making the switch then check out this quiz. 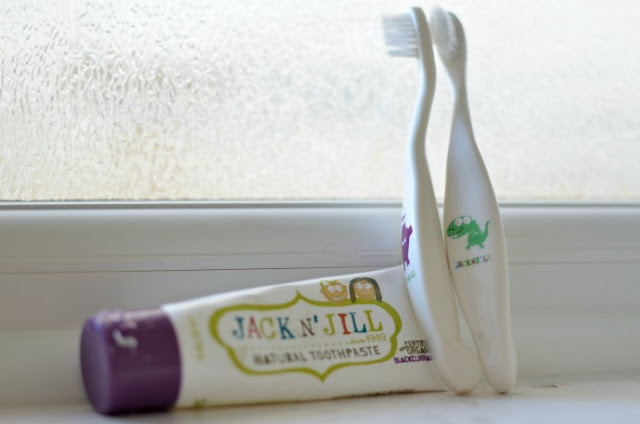 I am yet to make the switch for all of us, but the smallest two have now got new Jack'n'jill toothbrushes that are made from cornstarch and are compostable and biodegradable. Rather than throwing away plastic toothbrushes every few weeks, we can snap off the very end of these and put the rest in the compost. I need to look into what options there are for adults next! Whilst plastic carrier bags are now chargeable at most shops, the smaller plastic bags that we use to buy loose fruit and vegetables are still free and easy to access. It wasn't much effort to start carrying reusable shopping bags and I have now added some reusable loose food bags so that I can cut down on more plastic waste. Rather than buying the prepackaged fruit and vegetables I choose loose where I can and put it straight into the lightweight mesh bags in the shop rather than taking the thin plastic ones which inevitably go straight in the bin. As I said, I still have a long way to go to cut out plastic but every little thing makes a difference and if we all try to implement positive changes then hopefully it will become second nature to the next generation. 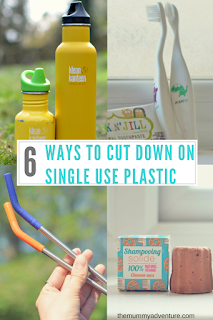 How are you trying to cut down on single use plastic? This is a great article, and do you know, I never thought about toothbrushes! We are trying to cut down on plastics too and I really need to invest in reusable straws! I also need to remember to take a reusable bag to the shops with me, I'm one of this silly sods who keeps forgetting!